Fifteen years ago, Ken Coates and Kerry Abel lamented the curious lack of historical scholarship on winter in Canada. Given the season’s length across northern North America, and its centrality to Indigenous and settler experiences from sea to sea to sea, they felt that “learning how to live with winter should be one of the basic themes in the historical understanding of Canada.”  A decade and a half later, few scholars have answered their call. Is winter simply too obvious, too humdrum, too—well—depressing a subject to merit the attention of Canadian historians? Summer in Canada often seems all too short. Perhaps we compensate, subconsciously, by gravitating toward research topics that preserve summer’s light and warmth throughout the long months of darkness and cold. We may live in a cold kingdom, but the Canada that emerges from our articles and books remains overwhelmingly clement. If recent activity on The Otter ~ La Loutre is any indication, Canadian environmental history has embarked upon such a turn. Over the last eighteen months or so, and without any explicit intent to do so, we’ve amassed a body of work that examines Canadians’ social, material, and imaginative engagements with winter, both in its quotidian and extreme forms. I have gathered these posts under the tag “A Cold Kingdom.” Together, they comprise The Otter’s third series, and its first “found” (as opposed to commissioned) series. 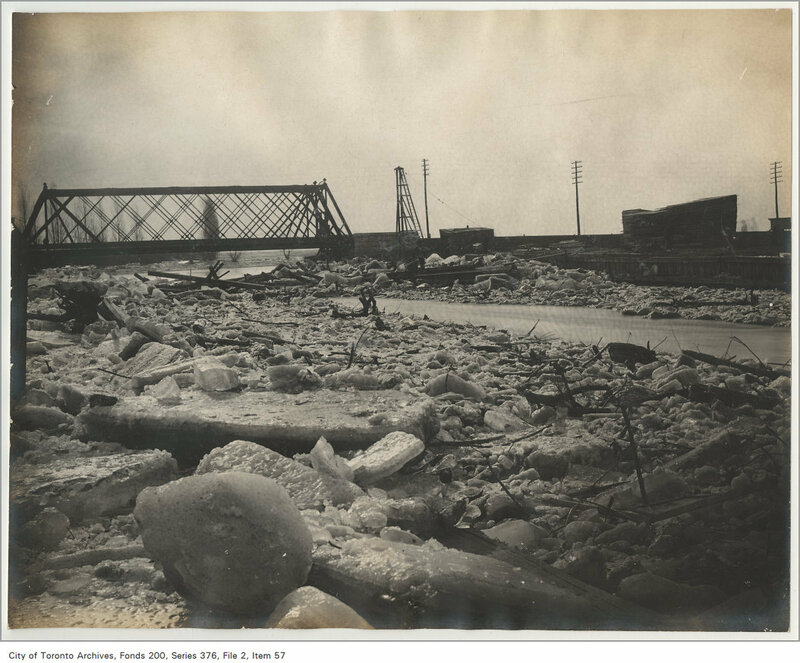 What can these posts tell us so far about “winter environmental power” in Canadian history? As I read through them, two common themes emerged: mobility and energy. Forrest Picher and Teresa Devor remind us that historically, the coming of winter often eased the movements of people and goods in Atlantic Canada, whether over frozen ground or water. Indeed, Canada’s first controlled powered flight touched down on the icy surface of Lake Bras d’Or on February 23, 1909. The wintertime setting of this event enhances its Canadian character, as Blair Stein has written recently. Other authors describe attempts to control or circumscribe human and non-human peregrinations through wintry spaces. Contemplating the winter history of national parks in Canada, Merle Massie wonders why snowmobiles have been explicitly excluded from these sites. 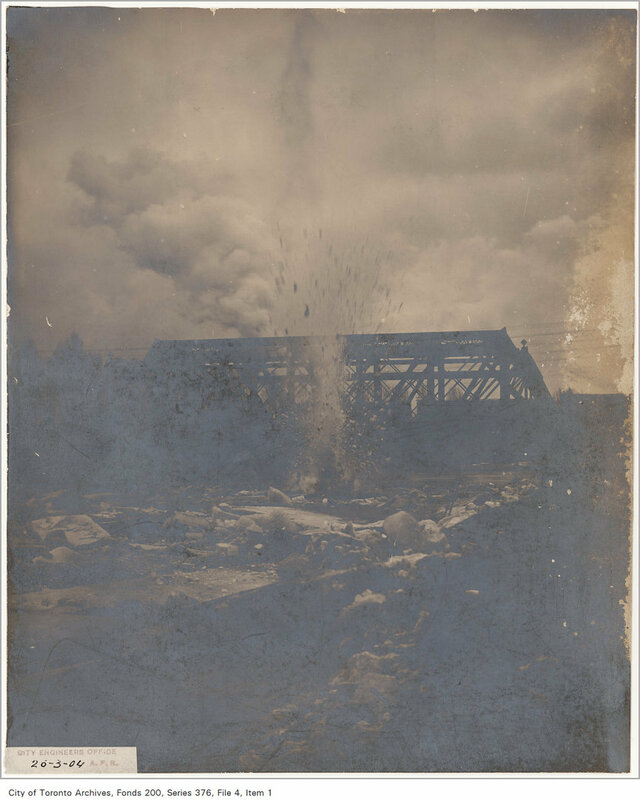 Daniel Macfarlane memorializes the ice bridges that used to form at the base of Niagara Falls in the wintertime, but which may never do so again. The Niagara River Ice Boom was installed in 1964 to safeguard the Falls’ complex hydraulic engineering systems against such powerful, sharp-toothed ice jams and lumbering blockages. Perhaps it’s no surprise that it’s taken Canadian environmental historians a while to warm up to the idea of studying winter. As Blair Stein notes, Canadians have long viewed this season with ambivalence. As a “northern” people, we laud our ability to withstand the cold. But since the mid-twentieth century, many Canadians have also become “snowbirds,” seeking out warm-weather destinations when the mercury in our thermometers is at its nadir. Blair argues that snowbirding is an act of extending summer. 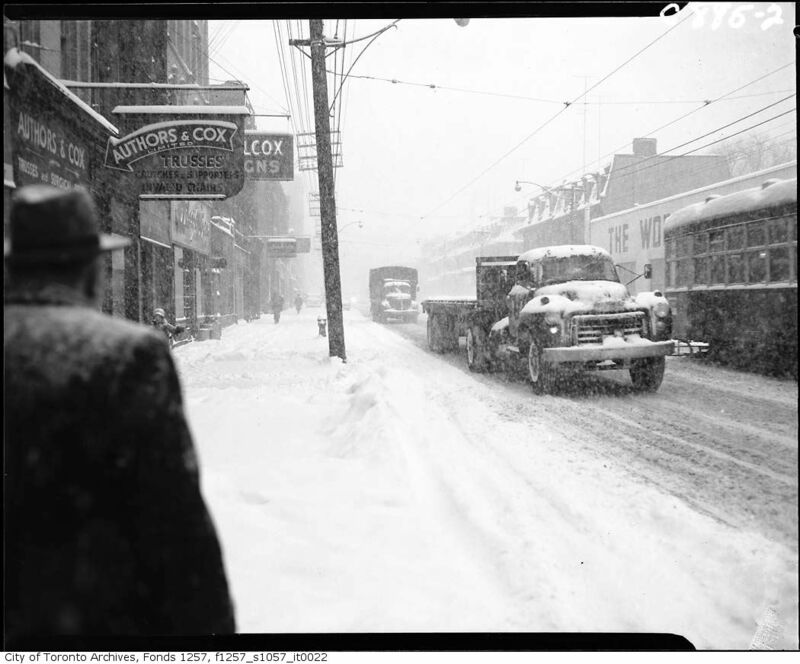 Whether consciously or not, Canadian historians may be snowbirding in the archives; we may be privileging warm-weather experiences in our environmental histories of Canada. But now this looks to be changing, and we can look forward (I hope) to more local, regional, national, and transnational studies of Canadian winters. I’ll leave you, now, with Sean Kheraj’s note-perfect take on the light blue turn. @benbradleyca @merlemassie @TinaAdcock @DaleBarbour Beware, #envhist! Winter is coming. Anderson, “Poem on Canada,” in The White Centre (Toronto: Ryerson Press, 1946). Abel and Coates, “Introduction: The North and the Nation,” in Abel and Coates, eds., Northern Visions: New Perspectives on the North in Canadian History (Peterborough, ON: Broadview Press, 2001), 10. See also Ken S. Coates and William R. Morrison, “Winter and the Shaping of Northern History: Reflections from the Canadian North,” in the same volume. Thomas Wickman, “‘Winters Embittered with Hardships’: Severe Cold, Wabanaki Power, and English Adjustments, 1690-1710,” The William and Mary Quarterly 72, no. 1 (2015): 93. Thomas Wickman, “Light Blue Books: Reading about Winter Ecology and Climate History,” Uncommon Sense (blog), Omohundro Institute of Early American History and Culture, February 4, 2015. Cf. Megan K. Prins, “Winters in America: Cities and Environment, 1870-1930” (PhD dissertation, University of Arizona, 2015), 25. It’s surely no coincidence that edited collections on both these subjects, to which a good many Canadian environmental historians contributed, are due out soon from Canadian university presses. Judith Fingard, “The Winter’s Tale: The Seasonal Contours of Pre-industrial Poverty in British North America, 1815-1860,” Historical Papers / Communications historiques 9, no. 1 (1974): 86. This is a wonderful idea for a “found” series. It reminds me of Dany Fougères’s chapter on surface water in nineteenth-century Montreal in Metropolitan Natures (University of Pittsburgh Press, 2011). 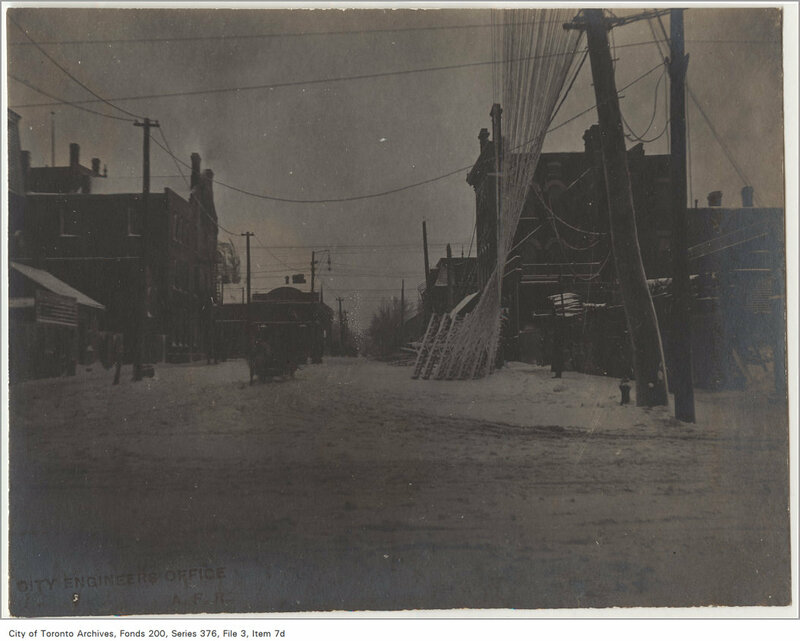 He reminds readers that the streetscapes of nineteenth-century Montreal in the winter were quite different from today. 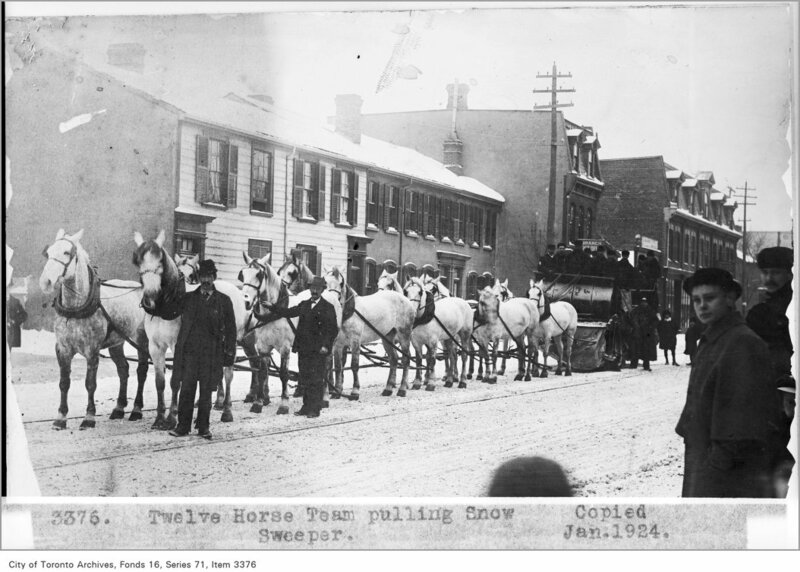 Instead of removing snow, people piled and packed it in the middle of the road and street traffic was raised above pedestrians on the sidewalks as horses pulled sleighs high atop the packed snow. Nice post, Tina, & nice idea for a series. I completely agree: more (cold) weather history! Thanks, Sean, for those images. A letter to the editor wrote a Halifax newspaper in 1816, with respect to giving the poor work to do in return for charity, “I must say with regard to throwing the heaps of snow (caused by drifts or shoveling) into the centre of the street, I am much pleased, as it would make the sleighing safer; not only for those riding, but also for pedestrians.” That’s here: http://niche-canada.org/wp-content/uploads/2016/01/1816-12-21-NS-AR-let-to-ed-Beneficus-re-labourers0000.jpg The “Canada’s Year Without a Summer” project has some nice descriptions of Canadians’ relationship with the cold. I’m glad that you enjoyed the post, Alan! And thanks for bringing our attention to the wintry sources contained within the Year Without a Summer project. Readers might also be interested in my 2011 The Otter blog post on overland freighting (http://niche-canada.org/2011/09/12/overland-freighting/) where I explicitly discuss winter travel as an aspect of industrialism in northern Saskatchewan. A more extensive and wide-ranging view on the role of winter, and its impact on how humans choose to use a landscape, can be found in my book Forest Prairie Edge. Seasonality, including winter, is the theme of a new environmental history book in press with University of Calgary, to be out this spring. A comment from Saskatchewan, where winter came back and the geese — which were already home — promptly took to the skies in Vee formation, heading back south. Grumpy. Thanks for these reminders of wintry examples in your own work, Merle! I think that a fair few Canadian environmental history monographs have winter threaded throughout them, including the new history of Hamilton Harbour by Ken Cruikshank and Nancy Bouchier. It’s great to hear that the book on seasonality will be out soon. We’d discussed this book before, but I’d completely forgotten about it since. I did think that publishing a post on winter in March, especially in Canada, might try some readers’ patience… but the snow will be gone soon, so I figured it was now or never! 1. 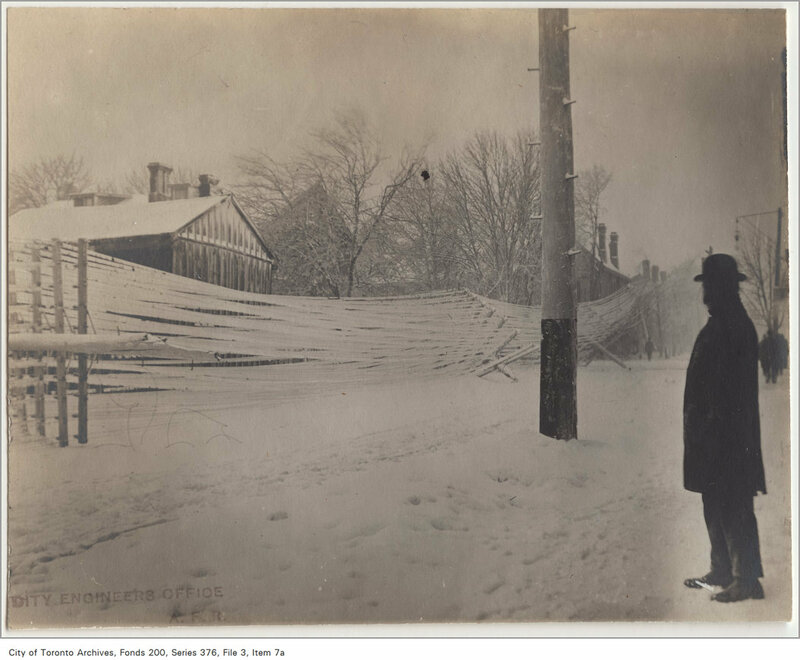 Downed telephone polls following ice storm in 1896 Toronto. Ontario Street south of Wilton Avenue looking north. Great post! I’m not an environmental historian, but I do think we need to celebrate winter more in Canada. Having moved back to Vancouver Island a few years ago, I miss winter in all its shapes and forms (more here: https://snowhydro1.wordpress.com/2016/01/22/wishing-for-snow/). With climate change altering winter (shorter, warmer, changes in precipitation type and amount), it seems we need to not only champion the winters that were, but understand and prepare for the winters to come.